What are the penalties for a marijuana/marihuana possession charge in Ohio? When you need a criminal defense attorney who will personally handle your case whether through settlement negotiations or litigation, contact Chad Hemminger, Columbus criminal defense attorney. 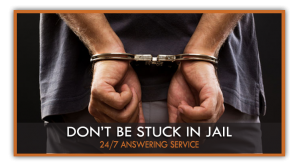 Regardless of the time of day or night, if you have been arrested or find yourself under investigation, contact our office as soon as possible. Less than 100 grams – Ohio decriminalized possession of smaller amounts of the substance. A violation is a minor misdemeanor, which results in a $150 fine. The offense is not punishable by jail, but it still has many hidden consequences such as the possibility of a driver’s license suspension. Between 100-200 grams – Penalties include up to 30 days in jail, a fine of up to $250 and the possibility of a driver’s license suspension. Between 200-1,000 grams – Constitutes a fifth degree felony and defendants face prison, a fine up to $2,500 and the possibility of a driver’s license suspension. Between 1,000-20,000 grams – Individual’s possessing this much marijuana could be facing anywhere from 9 months to 3 years in prison, a fine of up to $10,000, as well as the possibility of a driver’s license suspension and other potential penalties. More than 5,000 grams carries a presumption for prison. Between 20,000-40,000 grams – Potential penalties include a mandatory prison term anywhere from 5-8 years and a fine of up to $10,000. 40,000 grams or more – Penalties include a mandatory 8-year prison sentence and a fine of up to $15,000. In Ohio, cultivating and selling marijuana, without a valid license, is illegal. 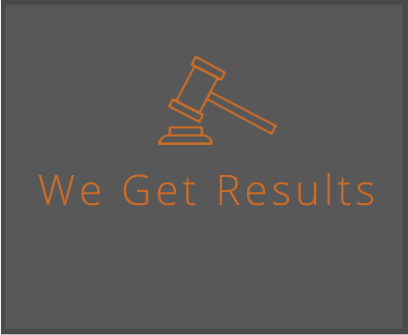 Penalties will vary based on the amount sold or cultivated. Second and subsequent convictions carry an increased penalty, as well as selling within 1,000 feet of a school or within the vicinity of a juvenile. Less than 20 grams and no payment – Ohio decriminalized giving someone marijuana up to 20 grams. A violation is classified as a minor misdemeanor and involves no time in jail and a $150 fine for the first offense. A subsequent offense, any gifting within the vicinity of a school, or any gifting within the vicinity of a juvenile carries up to 60 days in jail and a fine of up to $500. Sale of less than 200 grams – Possible penalties include up to 1 year in prison and a fine of up to $2,500. Between 200-1,000 grams – Penalties include up to 18 months in prison and a fine of up to $5,000. Between 1,000-5,000 grams – individuals could be facing between 9 months and 3 years in prison and a fine of up to $10,000. If the offense occurs within the vicinity of a school or a juvenile, there is a presumption for prison. Between 5,000-20,000 grams – Individuals are facing a presumption for a prison sentence between 9 months to 3 years and a fine of up to $10,000. If the offense is committed within the vicinity of a school or a juvenile, there is a presumption for a prison sentence between 2-8 years and a fine of up to $15,000. Between 20,000-40,000 grams – Penalties include a mandatory prison sentence anywhere from 5-8 years and a fine of up to $15,000. If the offense is committed within the vicinity of a school or a juvenile, there is a mandatory prison sentence of 3-11 years and a fine of up to $20,000. More than 40,000 grams – Individuals face a mandatory minimum of 8 years in prison and a fine of up to $15,000. If the offense was committed in the vicinity of a school or juvenile, individuals face a mandatory minimum of 11 years in prison and a fine of up to $20,000.